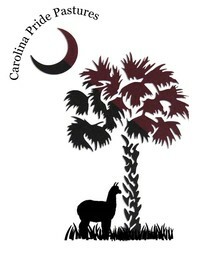 Carolina Pride Pastures, LLC: Blog: Getting ready for open house! Getting ready for open house! Spent the afternoon getting prepared for the open house next Saturday (12/14/13). Every time I go in the barn, it seems all five girls come running!!! While I clean their stall up, they love to dust. Dusting in the open is fun to watch. Dusting in a half enclosed barn, not so fun! DUSTY!!! And they all love to try to dust at the same time. Large, pregnant bellies and hooves going everywhere. Needless to say, the barn table is red clay colored...again. Katherine has a new habit. She likes to knock over the water buckets if I don't change them out first thing in the morning. I will be visiting Tractor Supply to get some hooks for the buckets. More on the list of things to do!! Next on the list, craft kit and tea bag making. If you are a regular reader, hope you can visit with us on the 14th!